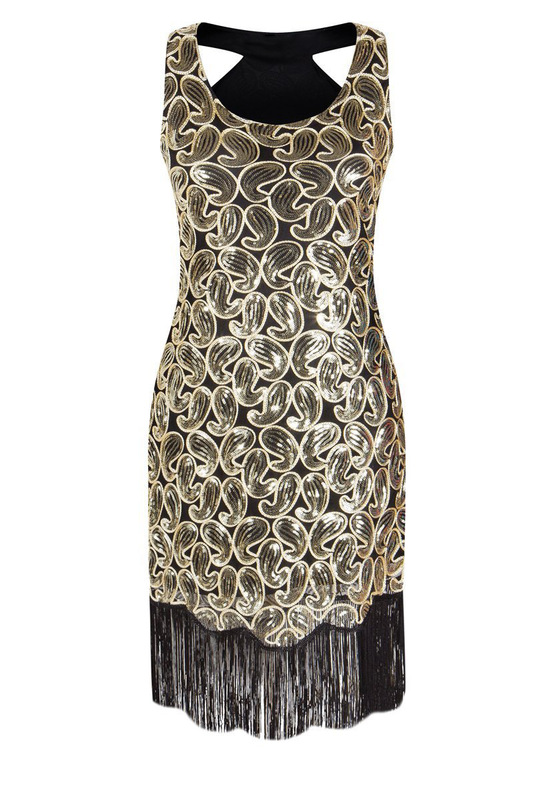 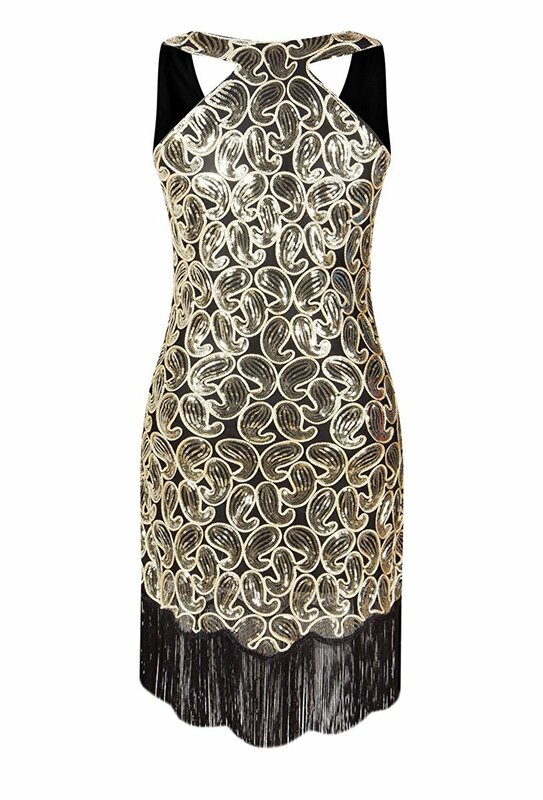 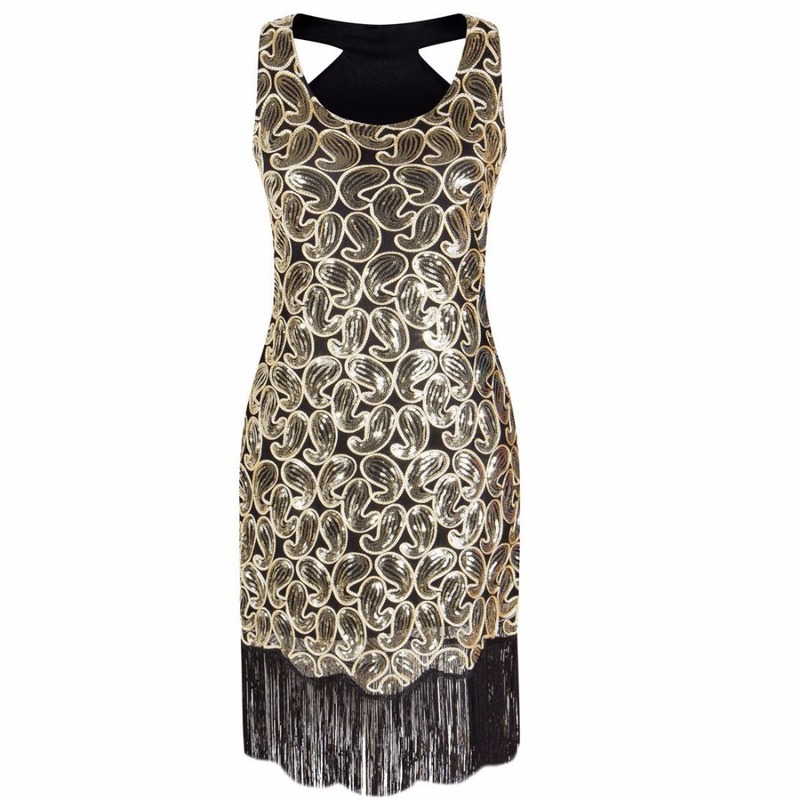 Black Gold Sequin Fringe Great Gatsby Dress. 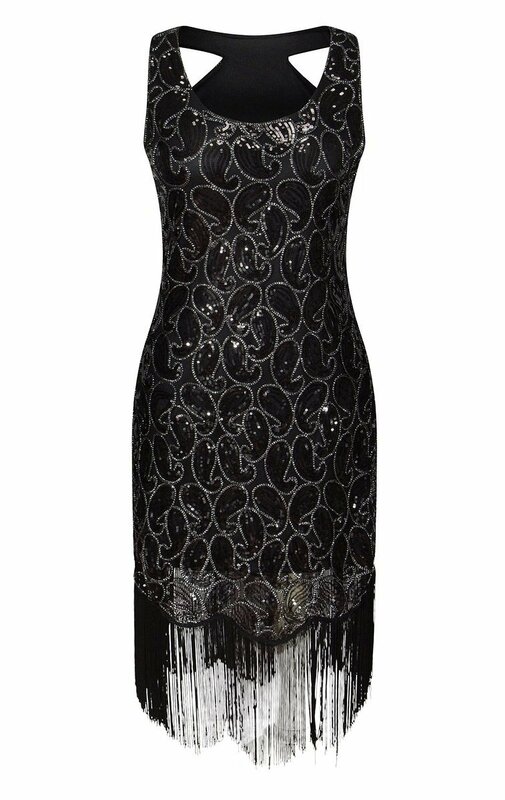 Chose the wrong size. 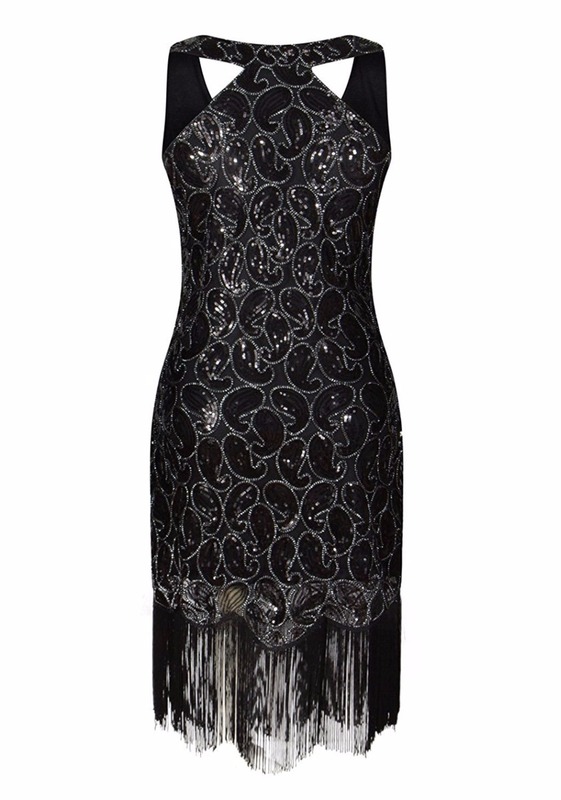 Nevertheless it still looks gorgeous! Thanks!